Come to Africa and experience the thrill of big five sightings but keep your eyes open for smaller wonders. There’s magic all around the bush; a few minutes examining that tree by the path can yield remarkable sightings. Wildmoz files are full of fabulous photos of extraordinary creatures and some very pretty bugs. 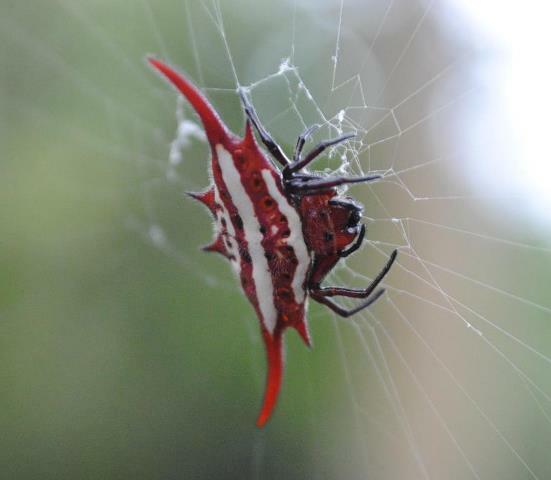 Let’s check out one of Africa’s pretty bugs – yes, it’s a spider but what a spider. 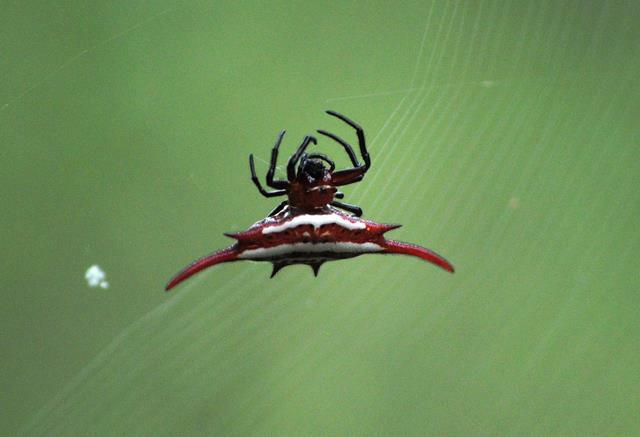 Looks like an alien space ship but watch it spinning its intricate, messy web and you have to wonder. Some built in instinct tells this little arachnid how to weave this gossamer mesh. Have a look at her legs as they hold strands and position each join. Like a complicated knitting pattern, over a huge distance (18 inches, 46 cms), the spider (1½ inches, 3 cms) travels backwards and forwards. Spinning and joining thousands of delicate threads. It would have been so easy to miss this fascinating exhibition. Even though the web was positioned at shoulder height, the clever spider had strung her framework so that it ran next to the path instead of across it. All that hard work could have been wiped out in seconds by one taller animal ambling through. But there it was and it was still there when we left, days later. 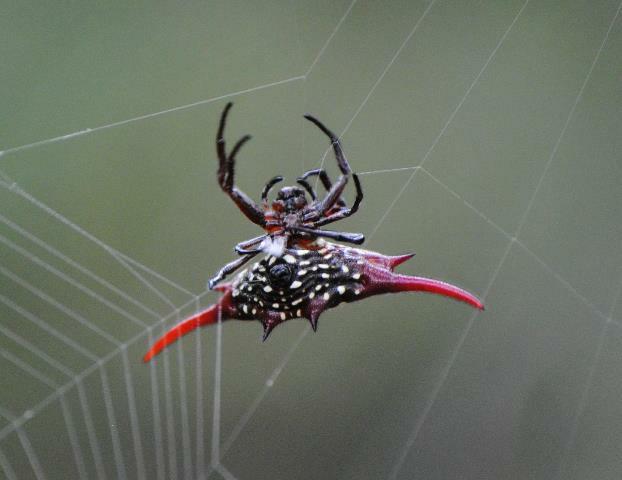 This spider is a member of the Kite Spider family. If anyone can give us a positive ID, as to its particulars, drop us a line on the contact form and I’ll update this post with a credit to you. Changing the subject a little bit, I wonder if you know what happens to the webs of the bark spider. You may have observed early in the morning when there is drew – or not – on hundreds of spider webs in between the trees and shrubs. Mostly these webs consist of a single line from one place – tree or shrub – to another. These are made and left by the bark spider at night. As the evening commences these spiders get active and build a full web from this single web line called a bridge line. Then at dusk they simply gather the web they have built to themselves and reuse it that night again. And this goes on day and night for the duration of the spiders life. The bridge line is always left as a frame for the next nights work. If this line is broken in the course of the day, a new bridge line is made. I hope this has answered some puzzling questions for you, it did for me the first time I herd it.